Planning to go to Italy with husband & 2 teenagers in Aug for 7-10 days. Grateful for any advice how to make the most of our time. 7-10 days are a (relatively) limited time to visit Italy. My suggestion is to limit your visit to no more than 3 locations, not to spend all your time travelling from one place to another, instead of actually visiting them! 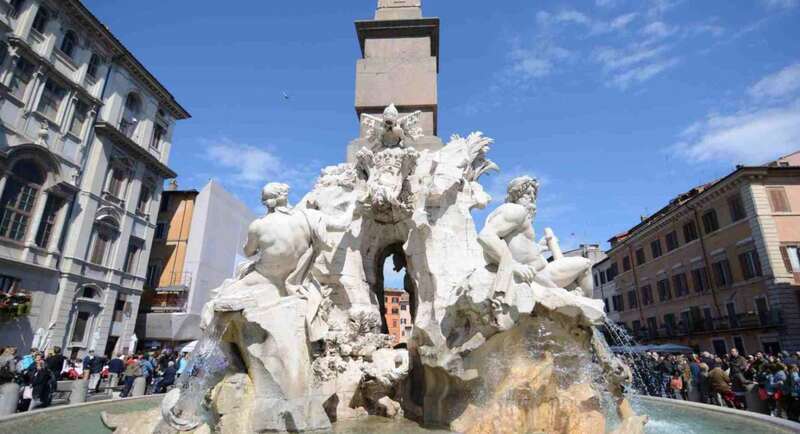 – The classical Venice – Florence+Tuscany – Rome could provide you with a good introduction to Italy. – Purchasing an “open jaws” air ticket is a convenient option, so that you don’t have to waste time getting back to your starting point. Concerning time, you could spend 2 full days in Venice (3 if you would like to visit the islands), at least 3 full days in Rome, 2 days in Florence and the rest visiting Tuscany, either by day trip from Florence (Siena, Pisa) or by renting a car and spending 2-3 nights in a country house. Said so, the way you will decide to organize your trip will really depend on your very personal tastes, interests… and budget. If you give me some additional clue, I’ll be more than happy to give you some suggestion. Thank you very much for your prompt & helpful respoonse. We will try to concentrate on the 3 cities as suggested & I will look for reasonable multi-destinaiton tickets. I thought because it was so hot in Italy in Aug that it would not be high tourist season. Am I wrong? Would the train be feasible for us as a means of transportation between the citites as we are relunctant to drive there. I just realized that our expenses may greatly increase in that it may not be possible for all of us to stay in one hotel room in Italy. Our family went to Paris & Barcelona 3 yrs ago & we were all able to stay comforatably in one hotel room but we have heard that may not be easy in Italy. Do you know why that may be? Is it not common to have 2 double beds in one room? Or have access to an extra cot? 2 hotel rooms in each city may get expensive. Very grateful for your advice. – Train is by far the best way to travel among these 3 cities: you have many high speed trains to go from Rome to Florence (1,5 hours) and from Florence to Venice (2 hours). You can reserve them on the Internet: state owned railways: www.trenitalia.com and private lines www.italotreno.it. They both have an English version of the site. reserve as early as you can and shop around for promotions (look for Family discounts, they often have some). – We don’t have Queen size beds in Italy, but you can find double / triple rooms with extra beds beds, even though they are not that common, since in the old historical centers room size is limited. You can shop around on booking.com to have an initial flavor of the offering, but have also a look at B&B options http://www.bed-and-breakfast.it/. Hope this helps. Write me back if you need more info.